Hey everyone!! So much has happened, so I’ll try to summarize things up and keep it short. Day one was rough. 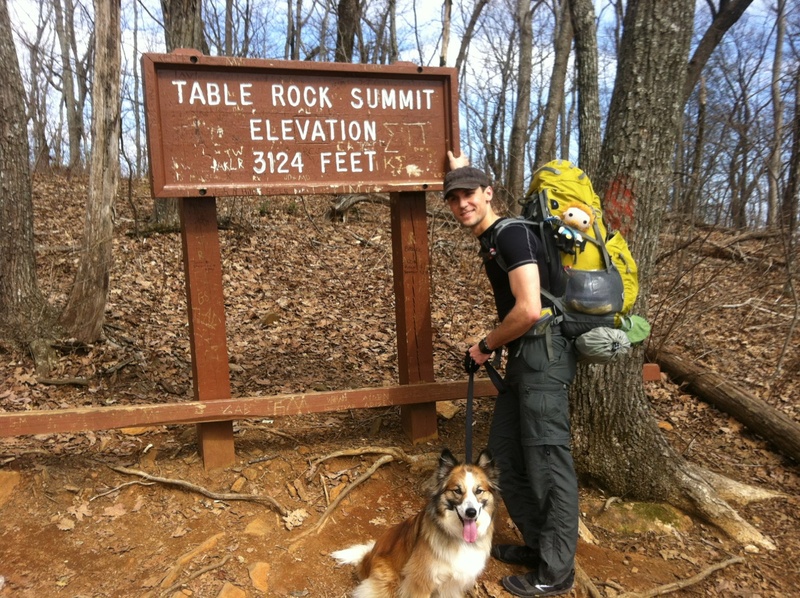 It started with a ascend of Table Rock Mountain with Surge. That was a great warm-up. Then I took off solo towards Pinnacle Mountain. 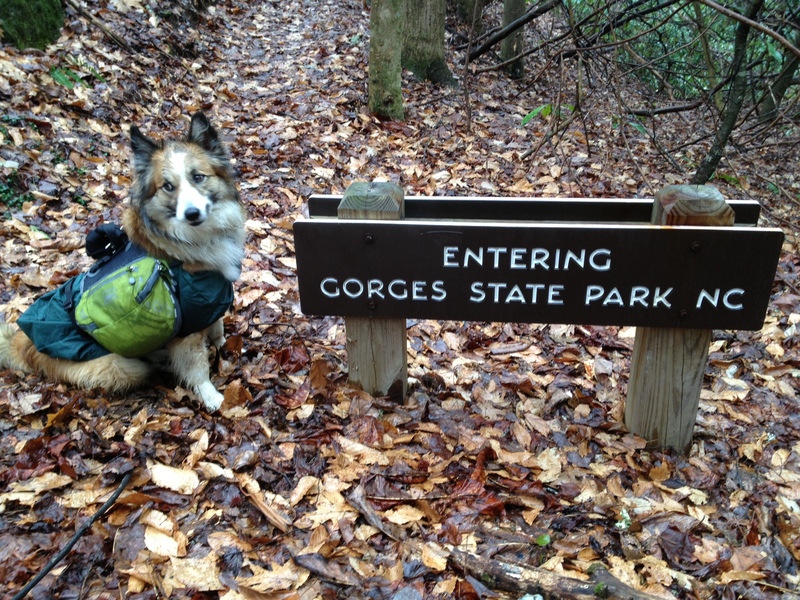 The lady at Table Rock ranger station advised to take the Ridge Trail to Foothills trail. She said it was a 1 mile shortcut. This took me 2 hours to ascend. Talk about a steep climb! That ain’t no 1 mile that’s for sure. 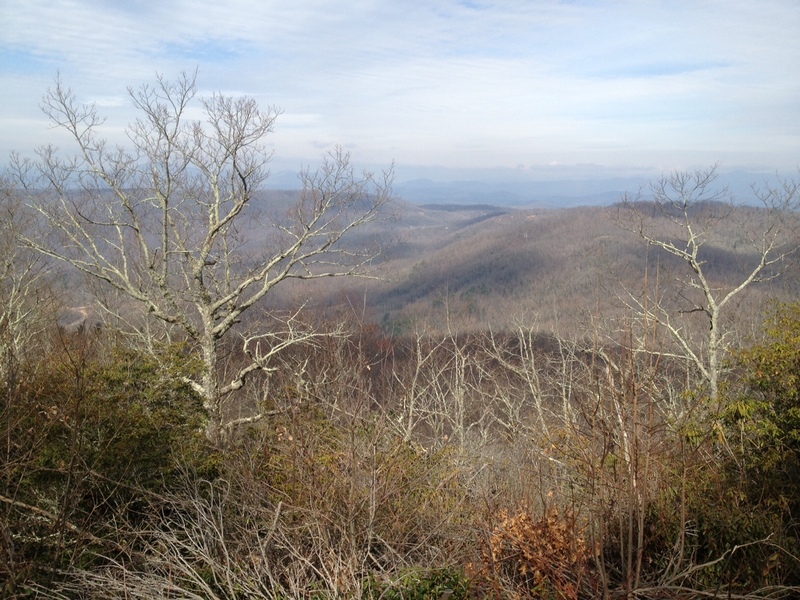 Anyways, I then proceeded up Sassafras Mountain. Man my legs were smoked by the end of the day. What made matters worse was me rationing water. There is virtually no water out there. If u hike that area bring lots of water. I found a really neat spot to camp on Sassafras. While unpacking I discovered why my pack felt unusually heavy. 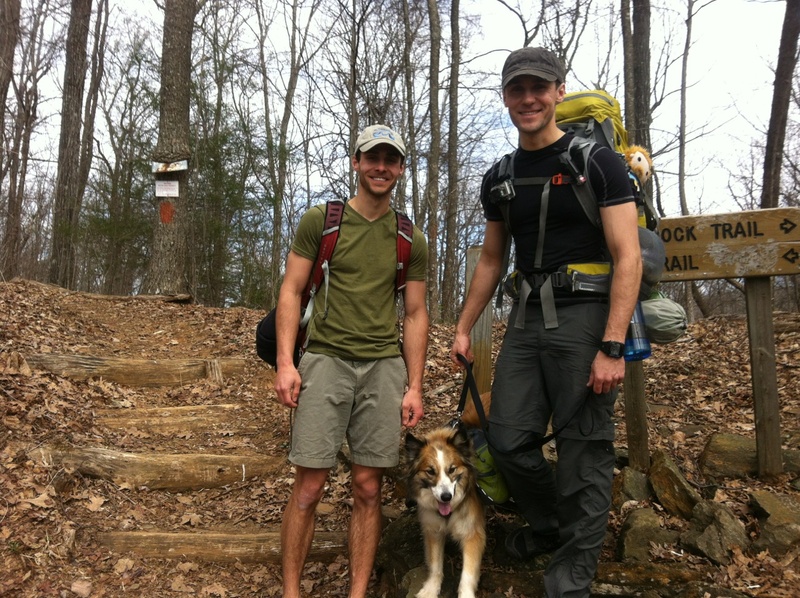 A well placed rock, at the bottom of my pack, by Ben, Al, and Serge. Hahaha! I should have seen that coming. Thanks guys! Here is a good view from Sassafras. The next day I got a chance to put in some good miles. 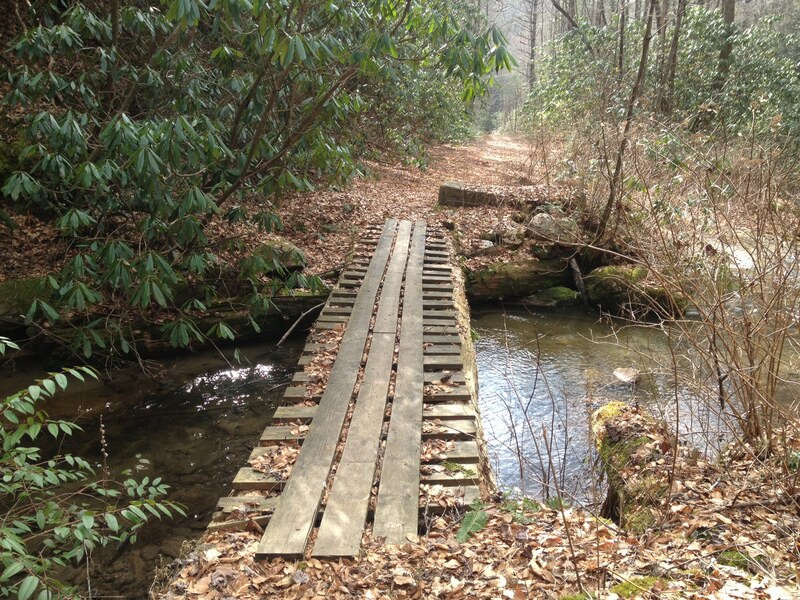 It’s down hill from there to Laurel Fork Falls. But, theres no water!!! I started off the morning without any water and finally found a small creek later on in the day. 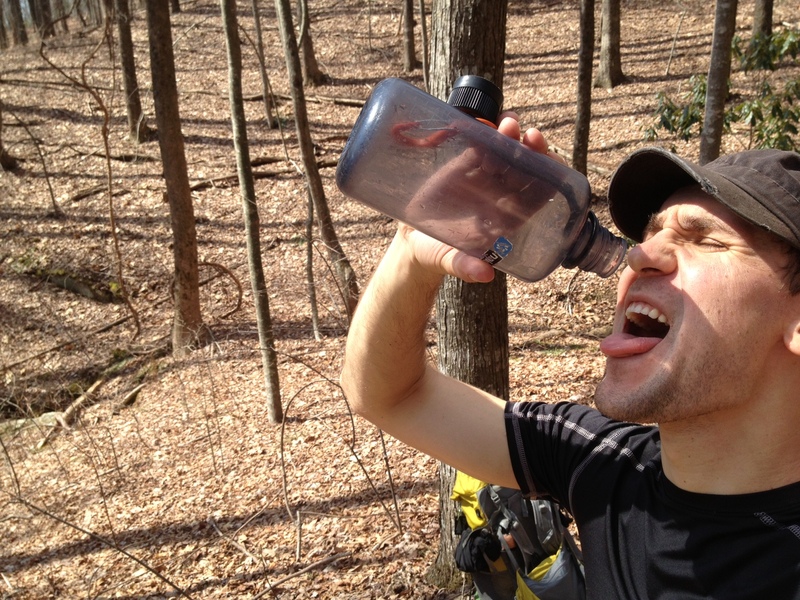 Like I said before, if you’re hiking between table rock and Laurel Fork Falls, bring lots of water, like 10 gallons! 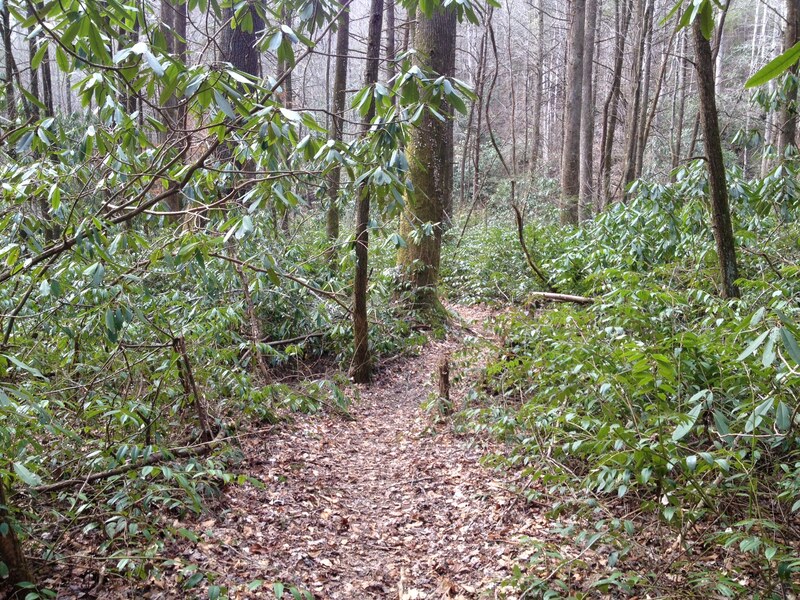 Hiking near Laurel Fork falls is one of my favorite sections of the Foothills trail. 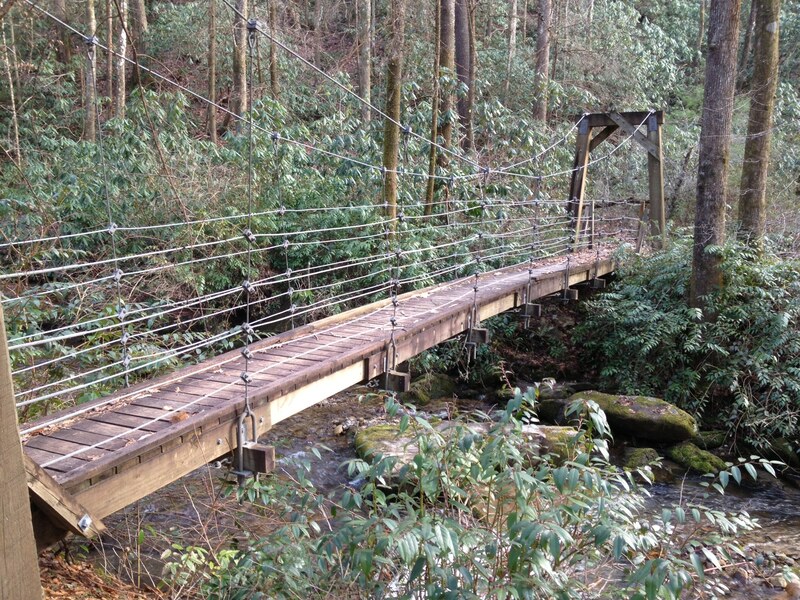 It is full of waterfalls, small streams, and tons of bridges. The last flat bridge brings back good memories. Years ago Surge and I were crossing it on bikes when his tires got stuck in the gap halfway through. He fell off the bike and into the river head first. Lol. Good times. 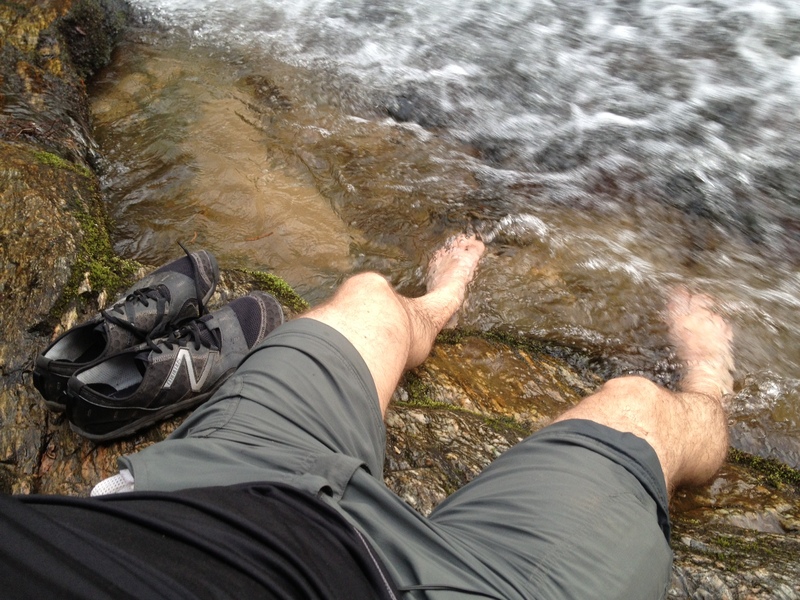 Anyways, I eventually made camp at the falls and soaked my sore feet in the river. (Note the product placement). Day 3 was rainy and foggy. 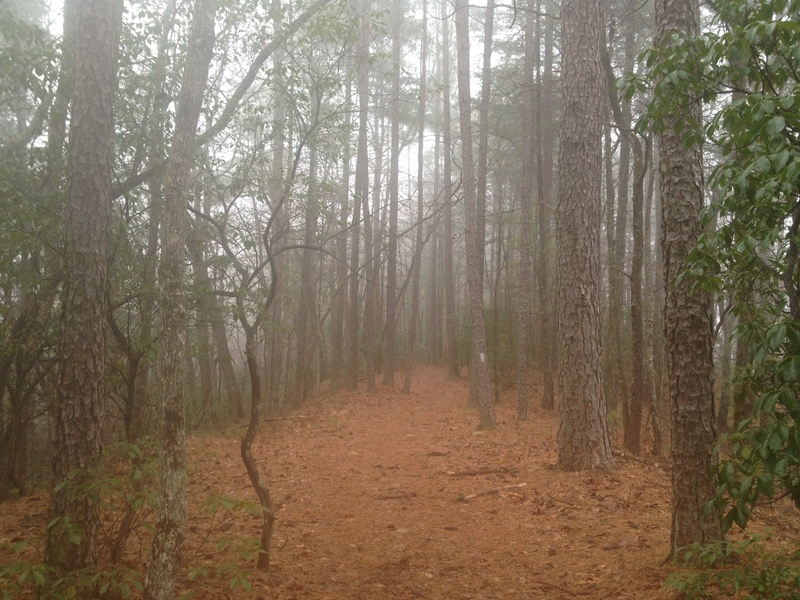 I really enjoyed hiking in the fog. The whole place has a feeling of mystery when it’s surrounded by fog. 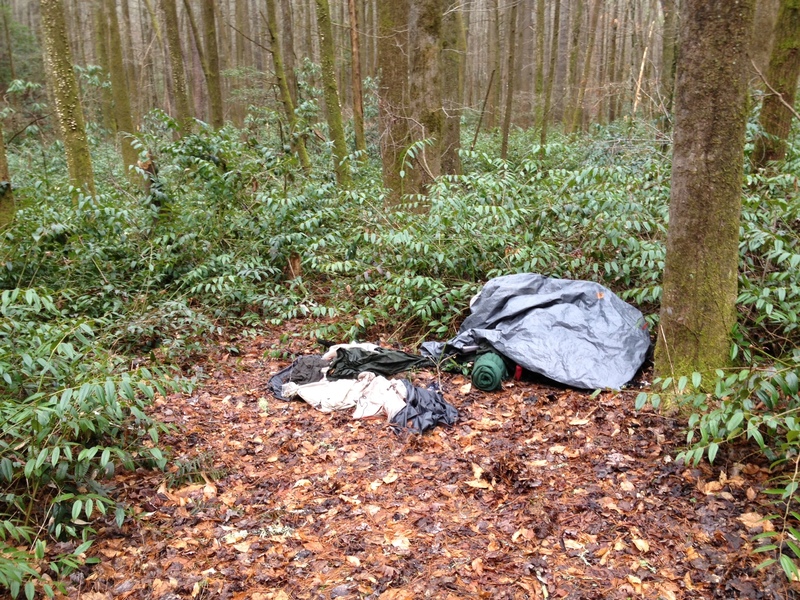 A bunch of abandoned camping gear (tent, clothes, tarp). Why would someone just leave their gear behind? Things got kinda spooky so I moved on. I set up my tent just in time before another dose of rain hit me. Rain+Cold=rough life. Day 4. 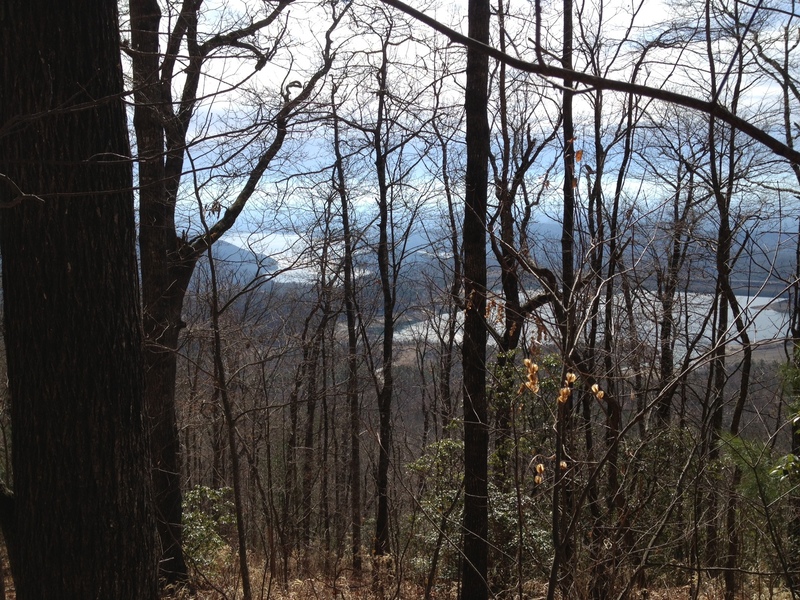 After you get passed Lake Jocassee, the trail follows old logging roads for like ever. 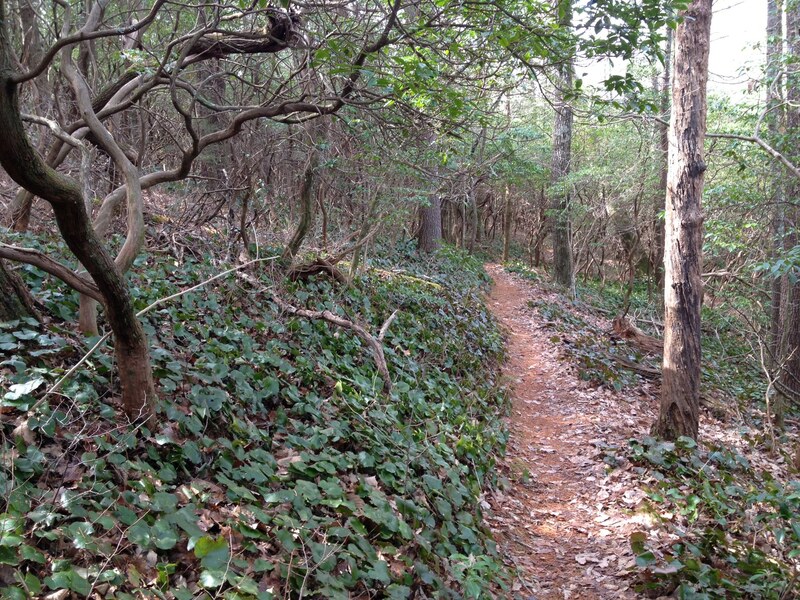 This section of trail is pretty boring. 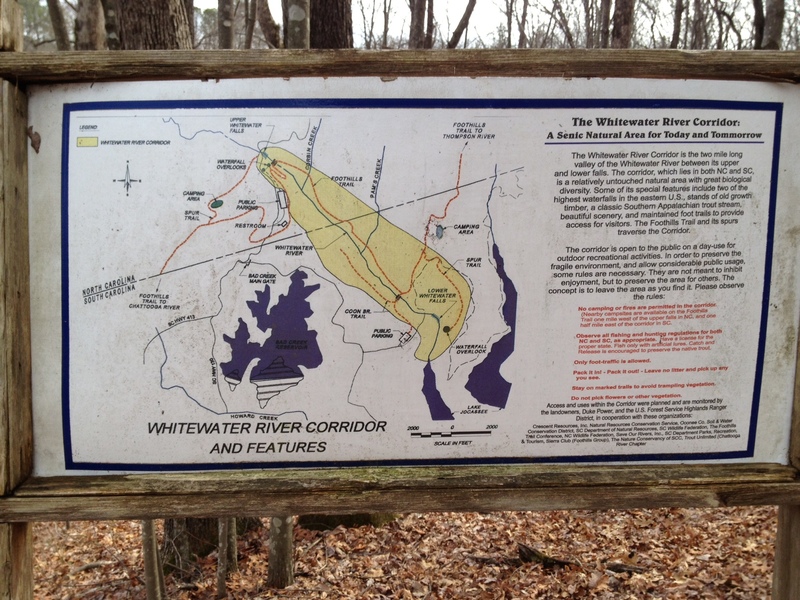 Then you get to White Water River corridor. 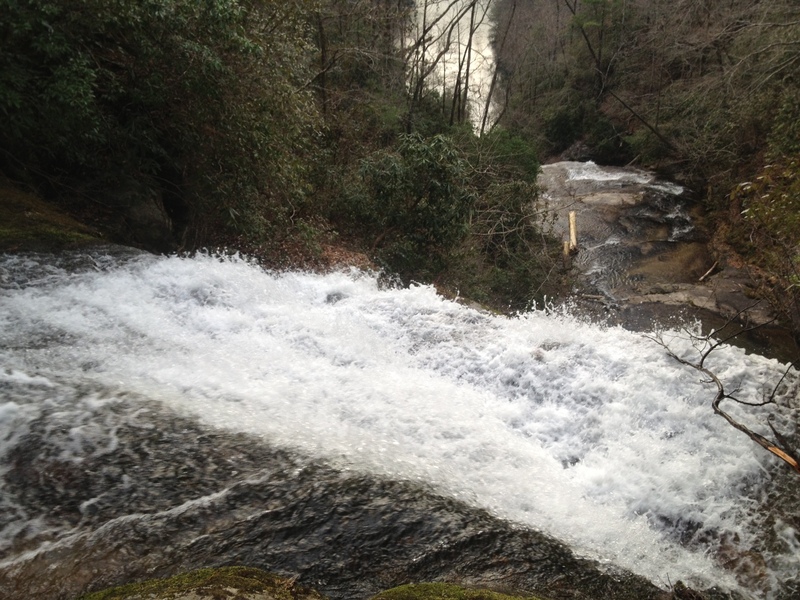 This place has a lot of neat rapids and waterfalls, but camping isn’t allowed here (sad face). Once I got out of the corridor, I hiked up to the top of the mountain and set up camp. I had cell signal for once and was able to call home which was nice. I want to mention my choice of campsite. I unknowingly set up camp underneath an owl nest. Don’t get me wrong, owls are cute and all, but they get super annoying quickly. They kept waking me up all night and wouldn’t pipe down. Day 5 was a very interesting day. I ran into an actual living person in the morning (not a figment of my imagination). Bev is a retired lady who has done the Foothills Trail twice. I got one word for her; respect! 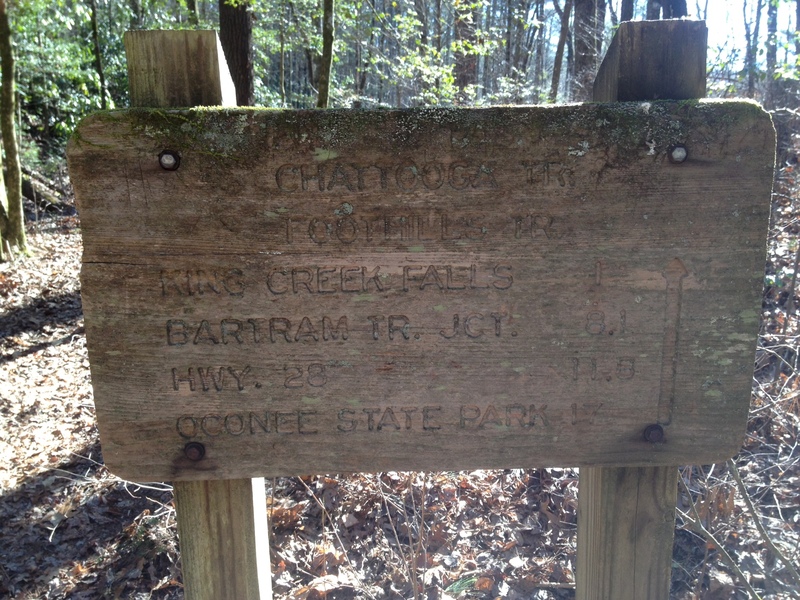 I have only met a handful of people out here, most are day hikers. Anyways the weather was clear and sunny and my shoes were dry. Life is good. I didn’t know what was above me and i didn’t stay to find out. 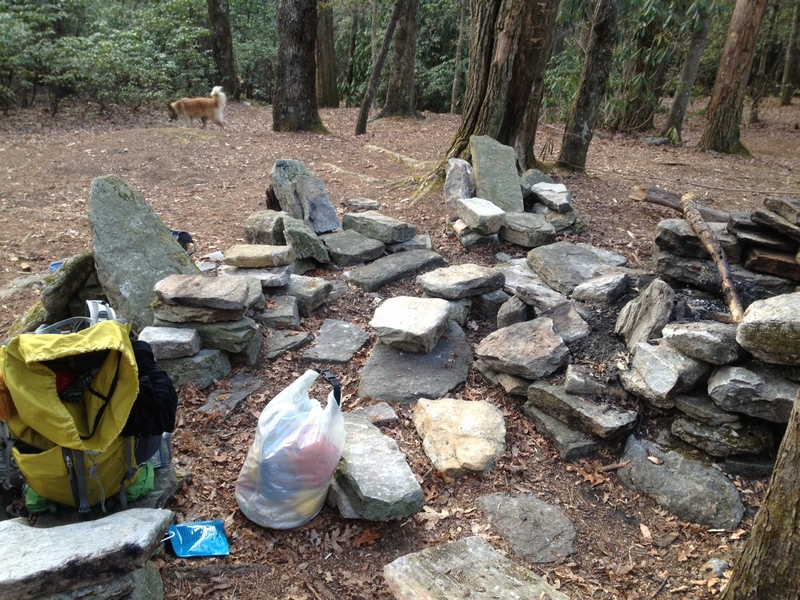 Olive and I booked it down the trail once again, but this time with no breaks. I reached a decent camp site at night and by then my legs were smoked. 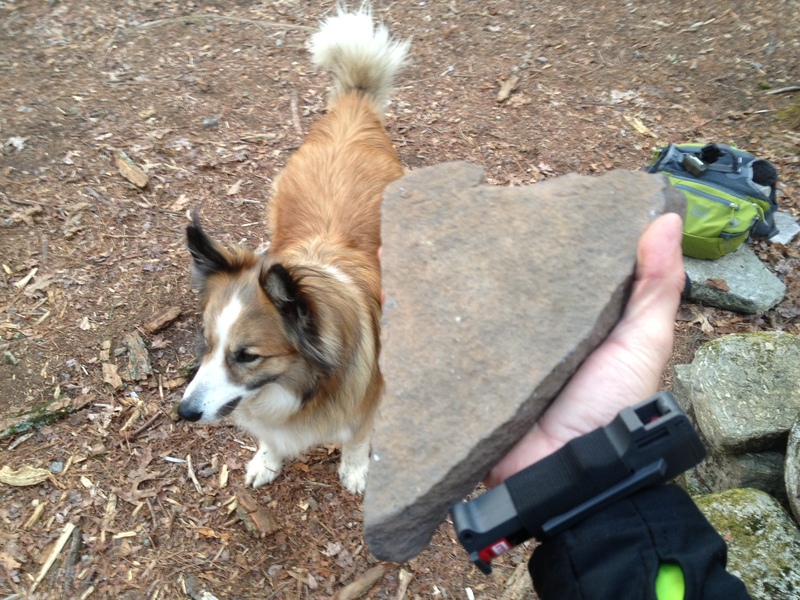 While setting up camp, I came up with this grand plan if the beast visits me: First, Olive would attack. Then, I would pepper spray it in the eyes followed by a roundhouse kick to the face! Yea, that should do the trick. Day 6 was the coldest day yet. I actually had to hike in thermal clothes. It never got above 35 degrees. 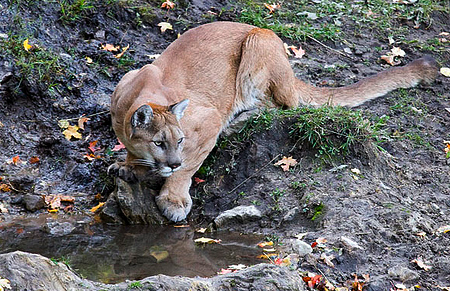 Some good news; no big cat last night. Bad news is; I ate the last of my food this morning, Quaker oatmeal. I ate more than anticipated, but thats alright. I heard intermittent fasting is healthy. 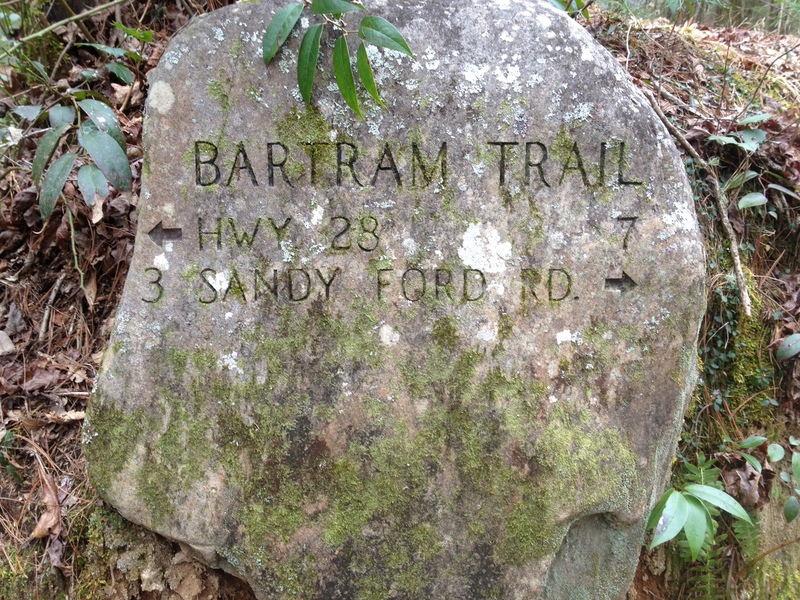 I eventually reached the Bartram Trail and headed off down the easy beginning 10 miles. It is full of pine groves which I really like. 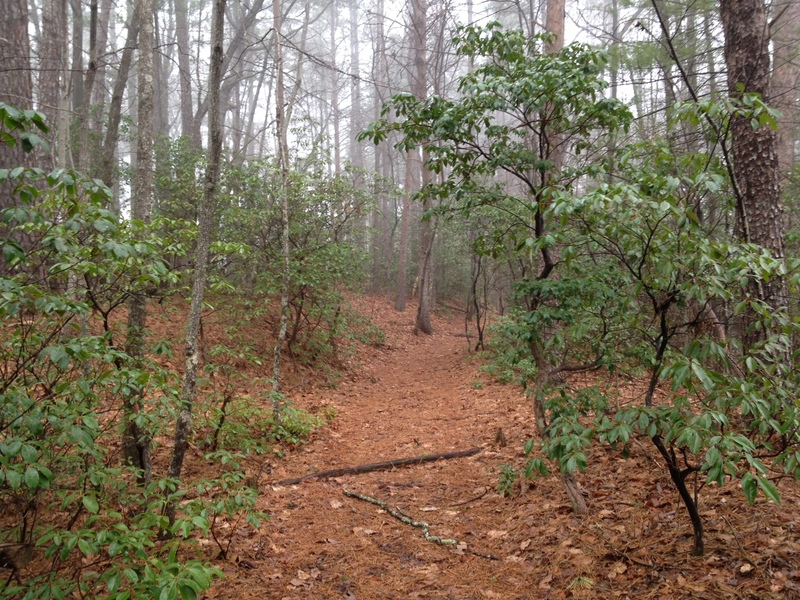 Then, came the last 12 mile portion. I didn’t know it would take me straight to the top of the mountain ridges. The panoramic views are amazing. However, I didn’t get any pics with my cell phone because sleet rain started to fall. I did get pics with the GoPro so Al (aka Lex the Defender) will insert them later. But you heard right; sleet rain. That was rough. I kept pushing throughout the night to get off the ridge line. I finally got down into a gorge at night and set up camp in the rain. Did I ever tell you how much I love cold rainy weather? Haha Good Livin’. I ended up doing a 25.5 mile day which was awesome. Oh, I almost forgot to mention what got me through the long day while starving. When i was pushing through the mountains in the sleet, I was thinking about a large Footlong Chicken Teriyaki Sub from Subway the whole time. Seriously no joke! That image was burned into my brain and I would have given anything for one. The funny thing is I’m not a huge fan of Subway, but hunger does funny things to you. This is no lie, but I dreamt of food all night long. In one of my dreams: Drey and Mike showed up with a giant pizza and breadsticks. Haha boy was I happy. We were eating, laughing, and having a grand time. Then, I remember another short dream where a guy that I barely know, Dr. Moroner showed up and gave me a huge cake. Lol I woke up the next morning with a smile on my face despite being hungry. Today is day 7. I’m sitting at Burger King in Clayton, GA typing away while drinking hot coffee. I miss everyone and truly appreciate the prayers and support from you guys. Yes, this is the short version of my first week. Hope you enjoyed.